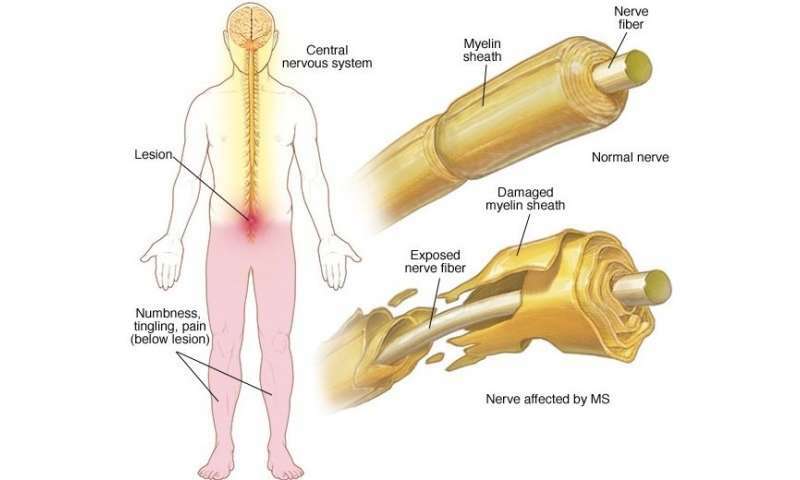 The loss or damage of myelin, a cellular sheath that surrounds and insulates nerves, is the hallmark of the immune-mediated neurological disorder multiple sclerosis (MS). When segments of this protective membrane are damaged, nerve impulses can be disrupted. Symptoms range from tingling and numbness to weakness, pain and paralysis. There is currently no reliable way to directly image demyelination. Physicians rely on magnetic resonance imaging (MRI), but despite high resolution images, MRI is not quantitative and cannot distinguish between demyelination and inflammation, which often coexist in people with MS. In the January 12, 2017 online issue of the journal Scientific Reports, a multi-institutional team based primarily at the University of Chicago Medicine and the National Institutes of Health, describe early tests of a novel minimally-invasive way to assess myelin damage using positron emission tomography (PET). These PET scans use a radioactive molecule designed to target voltage-gated potassium channels, a protein found on demyelinated axons. The PET images, based on the detection of this molecule, provide quantitative information about underlying biochemical processes. "In healthy myelinated neurons, potassium channels are usually buried underneath the myelin sheath," explained study author Brian Popko, PhD, the Jack Miller Professor of Neurological Disorders and director of the center for peripheral neuropathy at the University of Chicago. "When there is loss of myelin, these channels become exposed. They migrate throughout the demyelinated segment and their levels increase." These exposed neurons leak intracellular potassium. This leaves them unable to propagate electrical impulses, which causes some of the neurological symptoms seen in MS. "So we developed a PET tracer that can target potassium channels," Popko said. 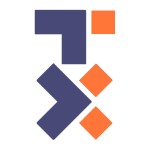 The team started with an existing MS drug, 4-aminopyridine (a.k.a. dalfampridine), which can bind to exposed potassium channels. This can partially restore nerve conduction and alleviate neurological symptoms in MS patients. 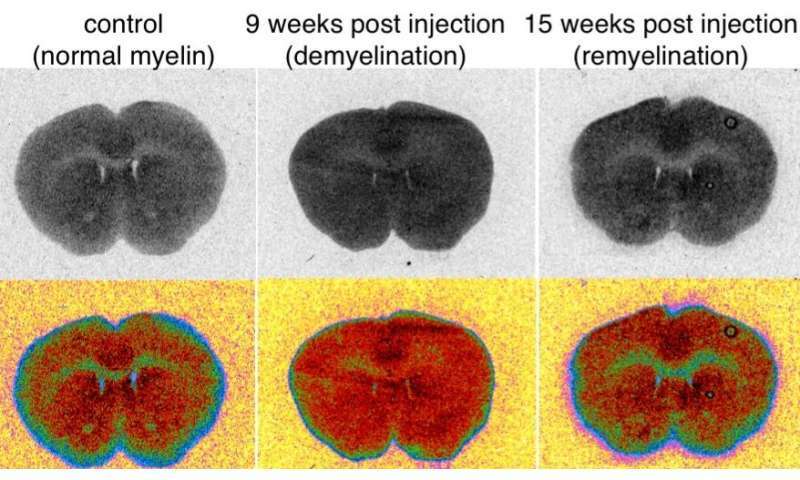 Using mouse models of MS, including some developed in the Popko lab, the researchers showed that the drug accumulated in the demyelinated, or uncovered, areas of the central nervous system. Then, with help from colleague Pancho Bezanilla, PhD, professor of biochemistry and molecular biology at the University of Chicago, the team examined several fluorine-containing derivatives of 4-aminopyridine for binding to K+ channels. They found that 3-fluoro-4-aminopyridine (3F4AP) has the desired properties, so they labeled the molecule with fluorine-18, which is easily detected by PET. "We were able to show, in rats, that the tracer accumulated to a higher degree in demyelinated areas than in control areas," Popko said. "All existing PET tracers used for imaging demyelination bind to myelin and, consequently, demyelinated lesions show as decreases in signal, which can be problematic for imaging small lesions," said Pedro Brugarolas, PhD, first author of the paper and currently a faculty member at Massachusetts General Hospital/Harvard Medical School. "3F4AP is the first tracer whose signal increases with demyelination, potentially solving some of the problems of its predecessors." Finally, in collaboration with scientists at the NIH, the researchers conducted a study in healthy monkeys. They confirmed that radiolabeled 3F4AP enters the brain of primates and localizes to areas where there is little myelin. "We think that this PET approach can provide complementary information to MRI which can help us follow MS lesions over time," Popko said. "It has the potential to track responses to remyelinating therapies, an unmet need. This approach should also help determine how much disruption of the myelin sheath contributes to other central nervous system disorders." That list includes leukodystrophies, traumatic brain injury, spinal cord injury and "even maladies not traditionally associated with demyelination," Popko suggested, "such as brain ischemia, psychiatric disorders, and neurodegenerative diseases, including Alzheimer's." More than 2.3 million people worldwide suffer from multiple sclerosis, according to 2013 data from the MS International Federation. None of the 15 current FDA-approved drugs for MS are able to cure the disease; they modify or suppress the immune system, reducing the number and severity of flare-ups and less often, slowing the visible marks of brain damage.